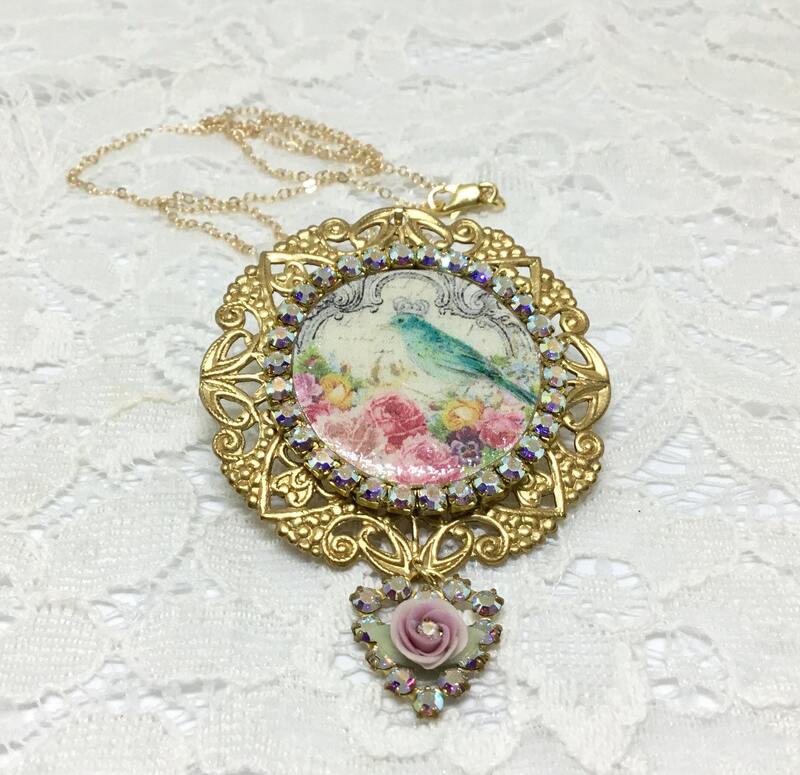 This is a sweet and romantic handcrafted necklace that comes with a 20” goldplated chain. The Victorian style round filigree brass base measures 2” in diameter. 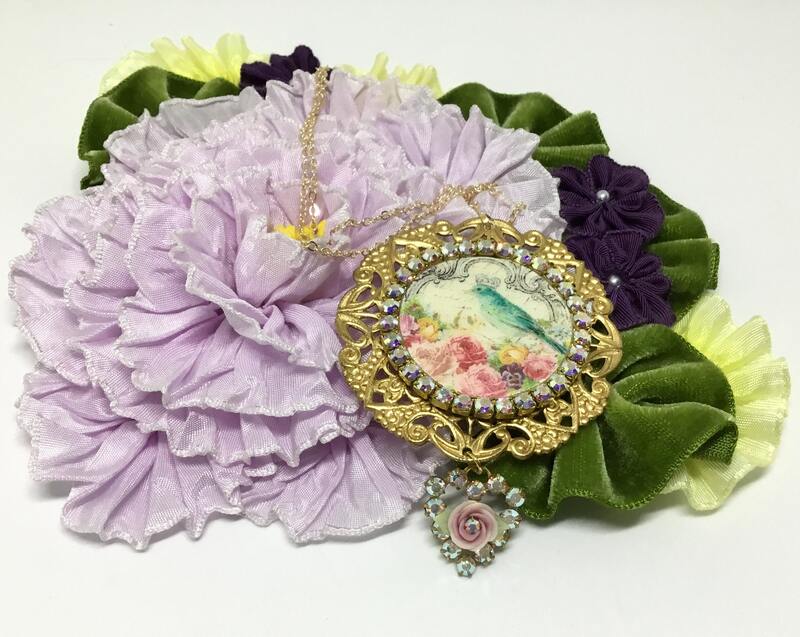 The center is a round picture of an aqua bird with a crown on a bed of pink roses on a porcelain disc. 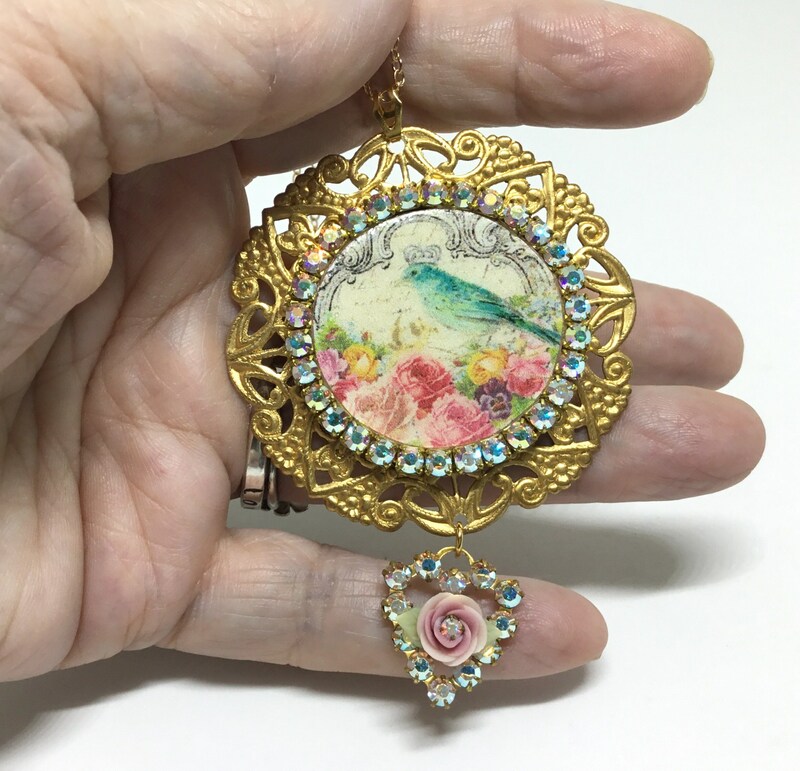 The center is encircled with a chain of Aurora Borealis Swarovski Crystals. The dangle is a sparkling AB Swarovski Crystal Heart with a pink porcelain rose charm in the center. 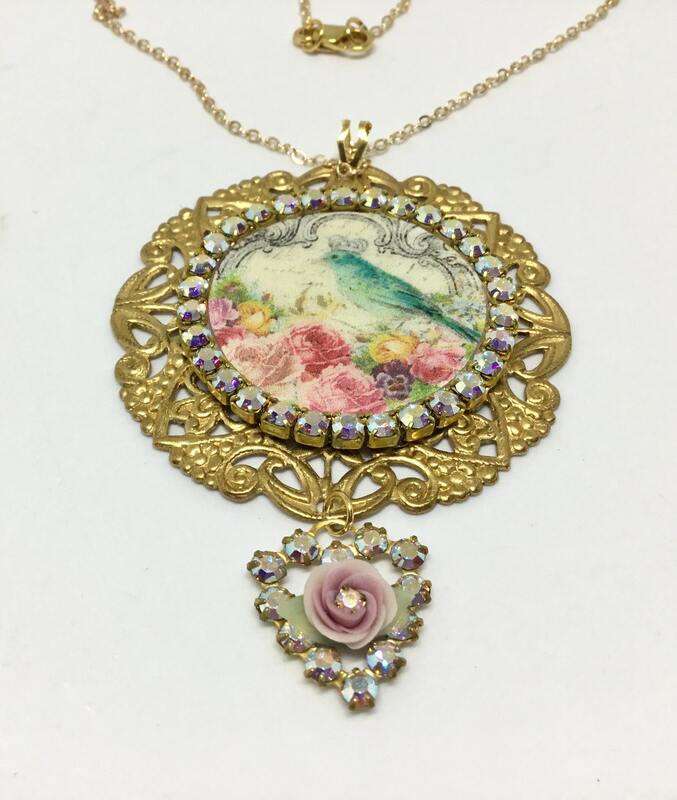 This unique pendant will appeal to hopeless romantics and those who love the bling and elegance of Swarovski Crystals. 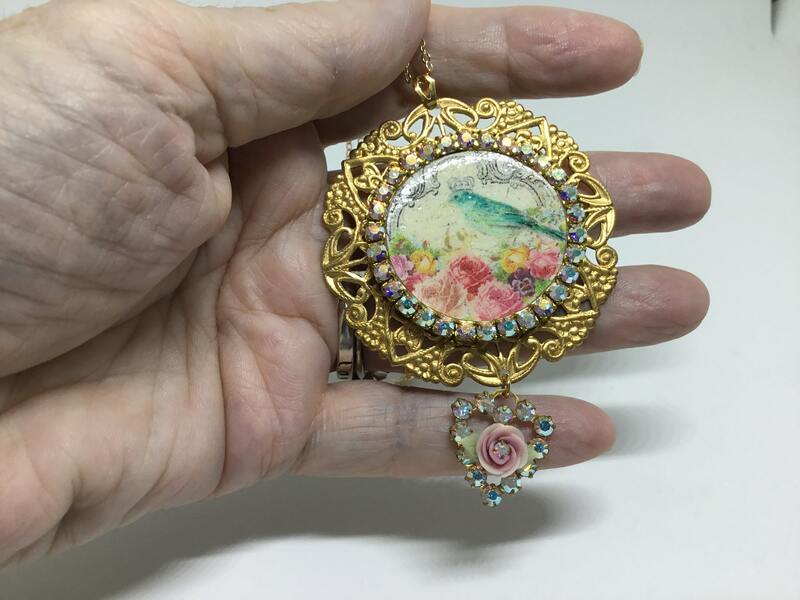 A fabulous gift to yourself or a dear friend or relative!